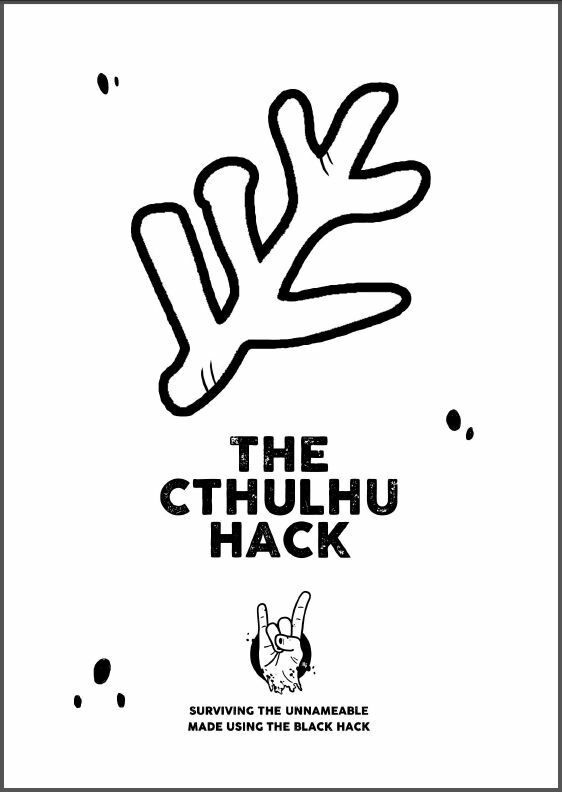 Now that The Cthulhu Hack has been out for a week, I have had the chance to play another session with the rules and get a lot of feedback from people. With UK Games Expo fast approaching, I will have physical copies in hand, but they will be specific to the event. With a short time frame for printing, I’ll be going with Lulu for print – because they are quick and reliable. I have used them many times before for short print runs. In the longer term, I’m getting quotes from other printers because I would really like to have a matt cover and Lulu only do the glossy variety for books the size I’m doing. Unless I add more content and opt for a hardback!Finding another printer that offers what I want means shopping around. I will also need to see and approve proofs before printing. That will mean such copies will be available AFTER Expo some time, probably toward the end of June. Finding another printer that offers what I want means shopping around. I will also need to see and approve proofs before printing. That will mean such copies will be available AFTER Expo some time, probably toward the end of June. Right now, I’m working on Version 2 of the core rules. Obviously, anyone who already has a copy through RPGNow or DriveThru will get that update automatically through their Library. This will be the copy that goes to print – and it seems to have expanded to 43-pages in the process. Version 2 includes two A4 covers – one black, one white – so you can choose how hard you want to punish your printer! It will also include the existing character sheet alternatives – basic and extended. If you have had the chance to play, I’d love to hear about it. Better yet, play more of it. Tell your friends about it. Convert existing adventures and tell me about it. I’ve had positive feedback from the sessions I’ve run with the ruleset and next week I hope to have the chance to play in a game run by another GM. You can post feedback here or on Google+ – and reviews on the PDF at RPGNow, DriveThru or elsewhere are always appreciated.